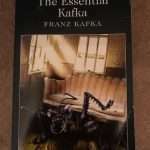 Kafka comes to life – For the fainthearted . . .
← Where do you go for cash? The door of the barber’s shop was firmly locked, the shutter was down and a sign in large letters declared, “Lunch, 1 pm – 2 pm.” I looked at my watch and it was twenty-five two. There was insufficient time to do anything other than wander up the street, looking in the shop windows. Coming to a bookshop, I went in through the open door. “Can I help you?” called a voice behind a desk at the far end. It was a combined bookshop and wine merchant, the bottles on the lower shelves and the books on the upper. It seemed strange to see bottles of claret and burgundy juxtaposed with chick-lit. Looking for something that might provide reading over the autumn, I came upon a collection of Franz Kafka’s works with a crumpled front cover. Taking it to the far end of the shop, I handed it to the man sat behind the desk. “This book has no price,” he said, accusingly. “Perhaps Kafka would smile,” I said. 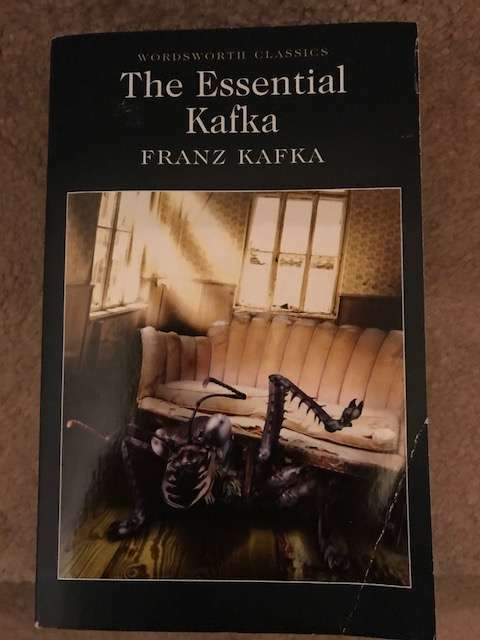 “I’ve heard of Kafka,” he said. It seemed a lot for a book that might have been bought for a pound in a second hand bookshop. I handed him the coins and returned to the barber’s shop, where I sat on the window sill and read Kafka until 2 pm. Browsing Kafka’s work for something to express the moment, I found Give it up, a short story of just 126 words written between 1917 and 1923. The bookseller might have been the policeman in Kafka’s story. It was very early in the morning, the streets clean and deserted, I was on my way to the station. As I compared the tower clock with my watch I realized it was much later than I had thought and that I had to hurry; the shock of this discovery made me feel uncertain of the way, I wasn’t very well acquainted with the town as yet; fortunately, there was a policeman at hand, I ran to him and breathlessly asked him the way. “Give it up! Give it up!” said he, and turned with a sudden jerk, like someone who wants to be alone with his laughter.